The smiling face you see across the counter when you pick up prescription medicine likely belongs to a certified pharmacy technician. The skills, training and patient care needed for this career are being celebrated on National Pharmacy Technician Day, Oct. 18. 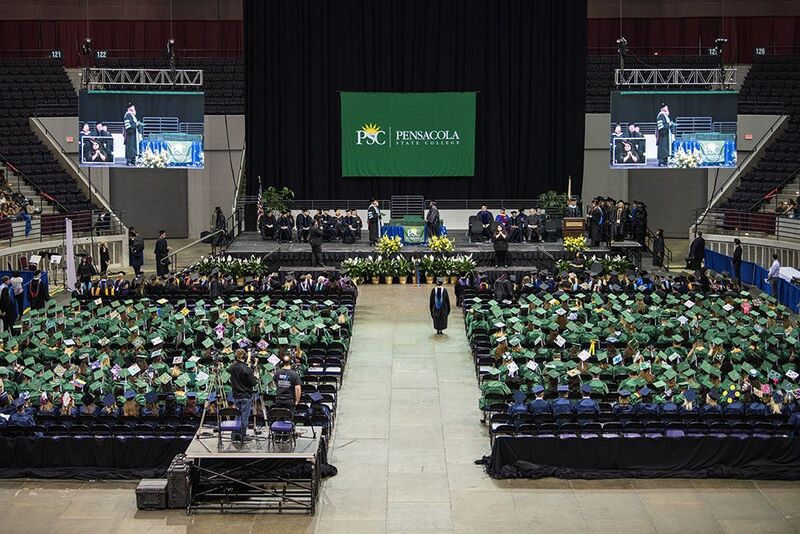 Pensacola State College’s Pharmacy Technician program director, Julie Burger, says this is a growing career field, due to many factors including an aging population and increased demand for prescription medications. 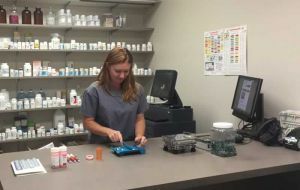 She cites a U.S. Bureau of Labor Statistics report that employment of pharmacy technicians is projected to grow faster than the average for all occupations in coming years. The latest data also shows that median pay is $14.62 per hour or about $30,410 per year. While pharmacy techs work under the supervision of a licensed pharmacist, they play an important role and often have a fast-paced day, Burger points out. She has been a Certified Pharmacy Technician since 2000 and has worked in various clinical trial, compounding and hospital settings, as well as academia. “On any given day, a pharmacy tech – working with a pharmacist – may fill and issue prescriptions, maintain inventory, enter patient profile information into computers, and perform many other duties necessary to the operation of a pharmacy,” Burger says. In just four semesters, students in PSC’s Pharmacy Tech program can acquire the theoretical, practical and clinical skills needed to earn the Advanced Technical Diploma in Pharmacy Technician and be eligible to register with the Florida Board of Pharmacy that is needed for employment. Since the program is limited access, Burger reminds those who are interested in this career to apply early. Although this is Burger’s first semester leading the Pharmacy Tech program at Pensacola State, she has many years of experience. Locally, she has written this area’s community health assessment, served as the Public Health Emergency Management Planner, and the Medical Reserve Corps Coordinator, but she adds that she is excited to return to Pharmacy Technician education. For more Pharmacy Technician program information, contact Julie Burger at 850-484-2346 or jburger@pensacolastate.edu.